“I know this looks like science fiction… It’s not.” For many of us, these words were not especially convincing when Jeff Bezos first spoke them to a ‘60 Minutes’ reporter in 2013 after presenting his plans for Amazon’s drone delivery project. But the drone industry has changed drastically since then. Bezos is on the path to keeping his promise and making drone delivery a reality while many others are following suit. Other big-name companies following the drone delivery path include Google X, Rakuten, DHL, Alibaba, UPS and others. Startups have identified this opportunity as well and are looking for creative ways to make it a reality. Regulatory restrictions have made it difficult for these companies to actually test their technologies even on a small scale. This is slowly changing, but companies are thinking out-of-the-box to find solutions that would allow them to do so. One of these solutions includes testing drone delivery operations in 3rd world countries where the regulatory environment is less restrictive (and usually the life-saving value the technology brings far outweighs the risk). Companies like Zipline and Matternet have been operating for years in Africa. By doing so they are gaining operational experience, improving their products and, perhaps most importantly, collecting data. Regulators have over a century-worth of data from the manned aviation industry. This is not the case for unmanned aircraft as the technology is much younger. Without data, regulators have a difficult time understanding the true risks of certain aircrafts and operations and are hesitant to move forward with new rules and regulations. Therefore, data collected from operations around the globe serve a double purpose in that they help the data collector (the operator) secure extended operation waivers while also helping regulators better understand this new technology. Many of the companies keep their cards close to their chest in terms of technological details that are released to the public. In the following paragraphs I’ll give an overview of the past and current delivery operations and trials taking place globally, as well as the safety technologies and limitations that allow these operations to take place. (Data is collected from public sources and is not comprehensive). Airbus – SingaporeThe European aviation giant has been active in the drone space for many years, mostly with fixed-wing UAS for the defense industry. Airbus Helicopters recently launched Skyways, a project that was granted special approval from the Civil Aviation Authority of Singapore (CAAS) to test package delivery on the campus of the National University of Singapore (NUS). Airbus is hoping for a wider trial of the system later this year. Safety case: Airbus has developed an octocopter, providing motor redundancy. The company, together with CAAS and NUS, defined aerial corridors for the drones to use with fully automated routes and designated landing pad. Like many other ecommerce companies, the Chinese giant has also been dabbling in the drone delivery space. In late 2017 the company announced that it would begin delivering packages from Putian to Meizhou Island, in southeast China’s Fujian Province. The first test included three drones carrying a total of six boxes of passionfruit with a combined weight of around 12kg. Safety case: Alibaba developed a hexacopter for its delivery operations, providing motor redundancy. Most flights take place over water and are likely within line of sight of the operator. Amazon is testing drone delivery around Cambridge in the UK. Naturally they are expected to be one of the leading players in the space. Multiple videos demonstrating the concept have been released by the company and various drone designs have been presented. The company’s patents also include hints of the direction amazon is looking at. One patent described landing and charging pads on street lamps while another described a process in which the drone and payload self-destruct in case of failure in order to reduce the weight of debris and the kinetic impact energy.For Amazon’s initial testing of the program the company waited 8 months for approval to test in the US, a quick 3-week approval from Canadian officials drove them North to a rural test site in Canada. Safety case: Amazon is testing its solution mainly in rural areas. The lack of publicity around the rural test site in Canada suggests that it is nowhere near towns or people. The UK test site is in a lightly populated area and the operations seem to be conducted in a carefully monitored fashion. Amazon officials have stated that redundancies, automation and advanced sense and avoid technologies are paramount to their safety case. Amazon is permitted to test the drones only during daylight hours when there are low winds and good visibility – but not in rain, snow or icy conditions. Drone Delivery Canada (DDC) intends to provide drone deliveries as a service in order to allow all companies to use the technology as part of their shipping tools. The company was initially given Transport Canada approval to test its drone delivery technology in Moose Factory and Moosonee in November 2017. The company completed a series of flights up to 2.1km, which it said showed positive results.DDC is now hoping to ship various goods, including mail, food, medical supplies and general goods, to Moose Cree First Nation, which is otherwise accessible only by boat in the summer or ice road in the winter.Earlier this year DDC announced that it is expanding its tests to the United States and will be launching a pilot at Griffiss International Airport in New York. It is unclear if this testing phase is dependent on acceptance to the UASIPP. Safety case: DDC uses an octocopter, providing motor redundancy. The company has demonstrated operational safety in some of the harshest weather and terrain conditions in Canada. DHL started testing package delivery by drone as far back as 2013. Their initial trials took place in Bonn where they manually piloted a Microdrones quadcopter across a river, all within line of site of the pilot. Their 2.0 version that they tested in 2014, flew 12km from Norddeich over the open sea and delivered packages to the island of Juist. This flight was already automated and journeyed beyond the pilot’s visual line of site. The company’s 3rd stage of testing took place in the mountainous town of Reit im Winkl. This time DHL used a VTOL aircraft that took off and landed on a landing station that loaded and unloaded packages to and from the drone.Safety case: As DHL continues the testing of its system it is gradually progressing to more complex operations. Starting from a relatively simple operation over water, in line of site, the company has transitioned to long distance operations beyond line of sight and over difficult terrain. DHL has coordinated with German Air Traffic Control and has setup a restricted flight area for these operations. Flirtey – USA, Australia, New ZealandThe Reno, Nevada based startup was the first company to secure FAA-approval for drone delivery in the US (one of their drones was even accepted into the Smithsonian’s National Air and Space Museum to commemorate the breakthrough).A partnership with 7-eleven resulted in 77 drone deliveries in the first month of the program alone. The deliveries were made to 12 specially chosen customers. It is unclear if this program is still active as there has been no news about it since late 2016.In New Zealand, Flirtey has partnered with Domino’s to quickly deliver hot pizzas while also signing an agreement with auto-parts company Repco.Flirtey recently announced plans for a fleet of drones in Nevada that will dispatch defibrillators to quickly treat cardiac arrest. This project, in partnership with emergency services company REMSA Health is to begin testing in 2018 (although it is likely contingent on certain waivers that the company has not yet secured). Safety case: Some of the photos on the company’s website show what appears to be a parachute system. 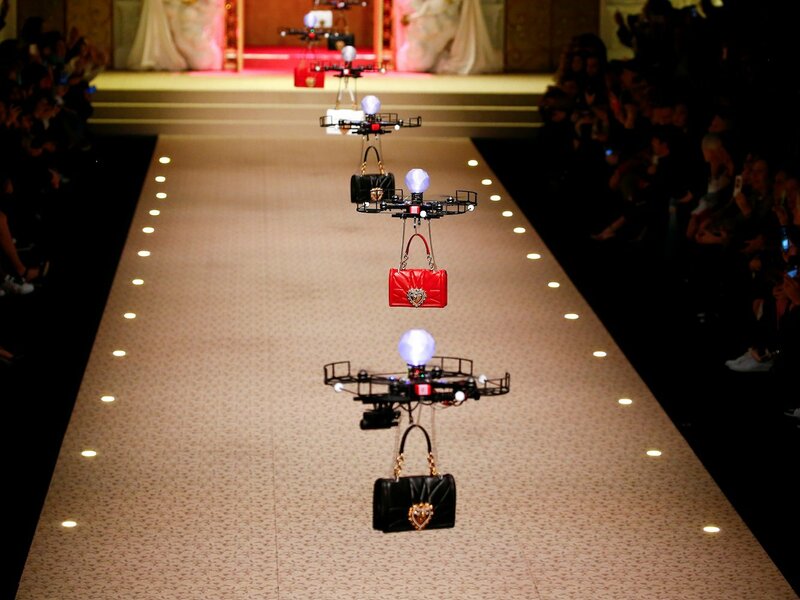 Flirtey uses hexacopters, providing motor redundancy. The drones return to a safe location when the battery is low and auto-return home in case of low GPS signal or communication loss. Flytrex – Iceland, UkraineIsraeli company, Flytrex, together with AHA (one of Iceland’s leading eCommerce companies) is delivering goods in Reykjavik, Iceland. The company predominantly uses off-the-shelf drones such as DJI’s M600.Additional partnerships and tests have been conducted with Ukrposhta in Bucha, Ukraine. Safety case: DJI’s M600 is a hexacopter, providing motor redundancy. Most flights are over water or in rural areas and within line of sight. The company’s autonomous capabilities also support the safety case. Matternet – Switzerland, Haiti, Dominican Republic, MalawiIn Switzerland the Federal Office for Civil Aviation has granted Matternet a certificate to fly autonomously, day and night over cities. The Swiss Post is using the company’s technology and services to deliver blood samples and other small medical packages between hospitals in Lugano.Matternet has also partnered with Mercedes-Benz and eCommerce startup Siroop. Last September they launched a pilot in Zurich to test package delivery with the use of vans as landing platforms.Haiti, the Dominican Republic and the East African country of Malawi were early testing grounds for Matternet. In these countries drone technology was used mainly to transfer HIV tests efficiently. Safety case: Matternet’s quadcopters include an emergency parachute system, redundant sensors and autopilot systems. The drones perform automated pre-flight checks and fly from and to a base that transmits an infrared signal to guide the drones to their accurate landing location. 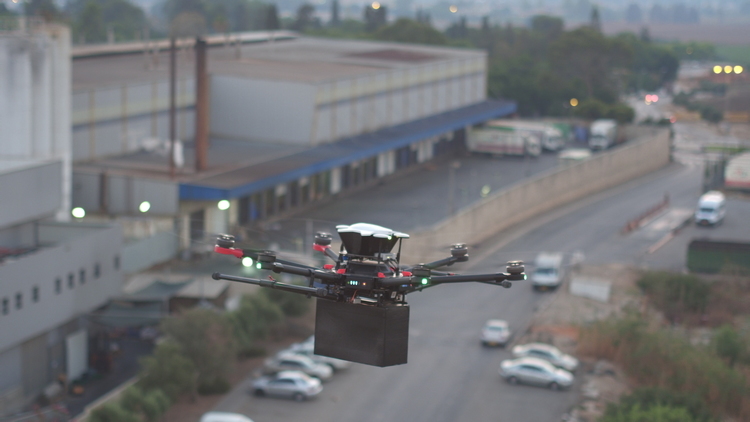 As far as we know, Matternet is the only company that is flying over densely populated areas in a developed country. Rakuten – JapanRakuten, the Japanese internet giant launched their drone delivery program with a demo at the Camel Golf Resort in Chiba. Golfers could order items through a mobile app and have them delivered to their exact location on the course (the most popular item was beer).In November 2017 Rakuten started a six-month trial with Lawson convenience stores to deliver goods to Fukushima.The safety case: Rakuten’s hexacopters include a parachute recovery system and motor redundancies. The company’s delivery operations are in mostly rural areas using a fully autonomous drone manufactured by ACSL. Google X – USA, AustraliaGoogle is one of the few companies testing drone deliveries in the US.Google has secured a Part 107.39 waiver from the FAA that allows them to fly over people at the Blacksburg, Virginia UAS Test Site. Google is also one of the few companies with LAANC capabilities. As they are not offering this service to operators, like Airmap and Skyward are doing, it seems likely that they are using this in a UTM system of their own.The company is also testing deliveries in rural parts of Australia. Safety case: As Google’s waiver is for closed-set operations only, they take place in a restricted area. The aircraft must meet or exceed the expected system failure rate and average risk level prior to preforming flights over people. Google has tested a number of drones throughout the project, mainly VTOL platforms. Some of these have up to fourteen motors (twelve for vertical thrust and two for forward flight) providing motor redundancy. Zipline – Rwanda, TanzaniaZipline is already operational in Rwanda and has been delivering blood bags and vaccines to rural areas around the country. The company announced that they will be launching a nationwide drone delivery program in Tanzania during 2018. The program will include over 100 drones and up to 2,000 flights a day. Safety case: Zipline’s operations take place mainly over rural areas of Africa. The company stated that fully automated flight on pre-determined routes, a parachute recovery system and redundant motors, batteries, GPS, and electronics all support the company’s safety case. UPS – USAUPS demonstrated a concept of a drone dock on top of one of their trucks that serves as a last mile solution for package delivery. The company partnered with drone manufacturer WorkHorse Group to develop an autonomous octocopter to work seamlessly with WorkHorse’s electric trucks. The demonstration took place in Florida. Safety case: UPS chose to use a WorkHorse octocopter providing motor redundancy. The drone can fly with loss of one motor can land with loss of two. The UPS demonstration was within line of sight of the operator and did not include flight over people. Drones are not yet buzzing around our neighborhoods dropping packages at our doorsteps. It will probably take some time before that happens. But the progress is significant. As more data is collected from these operations and presented to CAAs around the world, regulators’ confidence in the technology and safety solutions will increase. Automation, motor and electronic redundancies and emergency recovery systems such as parachutes are important components of the equation. Together these will hopefully allow the growth of one of the most exciting aspects of the drone industry.